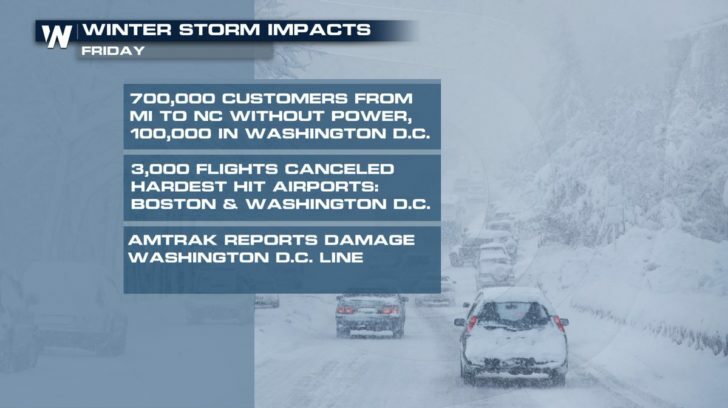 This storm is definitely one for the record books. 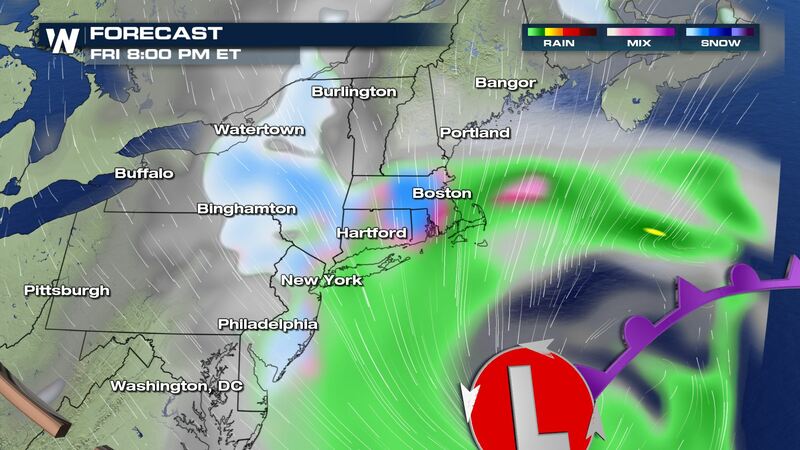 After reaching official bombogenesis status Friday morning, the storm continues to pound the Northeast into the evening. As of Friday evening, there were more than 1.6 million power outages reported across the eastern U.S., and at least five deaths related to the storm. This video shows the coastal flooding seen in Marshfield, Massachusetts Friday afternoon. HUGE WAVES: Tidal surge takes over in coastal Massachusetts as a powerful nor'easter continues to slam the coast. During high tide, water flooded Nantucket, Massachusetts streets. This was the view from Nantucket Friday morning. High tide on Nantucket crested at 6.62 feet, which is the fifth highest recorded high tide on the island, according to the NWS. Seen here are the streets in Nantucket flooded during high tide. And about 70 miles to the north of Nantucket island, the scene isn’t much different. The street is barely visible due to the floodwater. Not only is coastal flooding an issue for the coast, but the winds recorded have reached hurricane strength. A Category 1 Hurricane has winds of at least 74 miles per hour. Rain, snow, high winds, and coastal flooding are causing power outages and travel disruptions. Even train service is being affected. The National Weather Service in Boston said that it recorded its third highest crest on record Friday morning as the Nor’easter slammed the city. The tide is expected to be even higher Friday night. 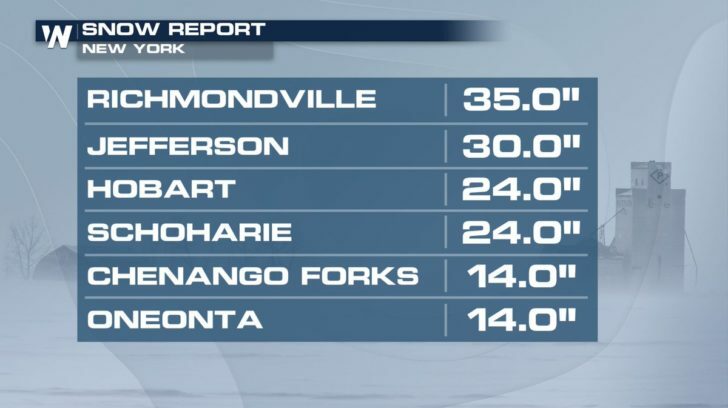 And if coastal flooding and hurricane force winds weren’t enough, check out some of the latest snowfall reports from New York. As of Friday evening, they were quickly approaching THREE FEET of snow! The Nor’easter will continue to be very strong but gradually pull away by Saturday. This video shows the hour-by-hour forecast through Saturday afternoon. Note that the rain and snow will continue until at least midnight for many locations, ending by dawn. However, the winds will stay very strong through most of Saturday. UPDATE: Here's the hour-by-hour forecast through Saturday afternoon. Note the rain and snow will continue until at least midnight for many locations, ending by dawn. However the winds will stay very strong through most of Saturday.